Masanobu Fukuoka was a Japanese farmer and philosopher celebrated for his natural farming and re-vegetation of desertified lands. He incorporated his ancestral gardening techniques into his own farming methods and, in so doing, started a revolution. Seed bombs are an ancient Japanese practice called Tsuchi Dango, meaning ‘Earth Dumpling’. Fukuoka led the way into the world of sustainable agriculture by initiating ‘natural farming’. His methods were simple and produced no pollution. His technique used no machines or chemicals and almost no weeding. Seed bombing was part of Fukuoka’s annual farming regime. He believed that Mother Nature takes care of the seeds we sow and decides which crops to provide us with, like a process of natural selection, because ultimately nature decides what will grow and when germination will occur, be that in 7 days or several seasons away. Fukuoka grew seed bomb vegetables like wild plants – he called it ‘semi wild’. He seed bombed on river banks, roadsides and wasteland and allowed them to ‘grow up’ with the weeds. He believed that vegetables grown in this way – including Japanese radish, carrots, burdock, onions and turnips – are stronger than most people think. He would add clover to his vegetable mixes because it acted as a living mulch and conditioned the soil. Do you want to make your own seed bombs? 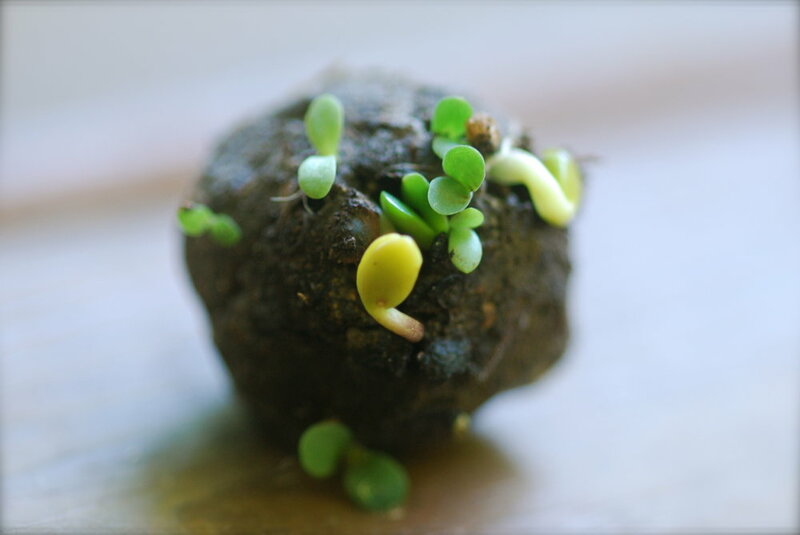 Then join our seed bomb workshop. Newer PostWe have very limited time to spend on this incredible earth. I believe we should use that time to support and love each other. Older PostWHAT DOES REWILDING MEAN?